What does this have to do with being a mother? Surprisingly, quite a bit! When you take your children out (shopping, visiting friends and/or relatives, to church, and to other public places), you leave an impression of not only yourself and your children but of mothers and children in general. What kind of impression do you leave? Let's apply the principles of Leave No Trace to your adventures with your children. 1. Plan and prepare. Before you leave home, do you adequately prepare for possibilities...like extra food and extra changes of clothes for the little ones...just in case? Are you prepared for an emergency? 2. We'll skip that one. 3. Dispose of waste properly. Now, that is a good one! The rule, "Pack it in, pack it out" definitely applies! If your baby needs a diaper change, please wrap up and take the used diaper home. I know, disposable diapers are meant to be disposed of, but leaving a stinky diaper in someone's home or place of work, just isn't considerate. Keep plastic bags in your diaper bag or purse for that purpose. And diapers aren't the only things...cheerios, gum wrappers and trash left on pews at church...that's a no-no! 4. Leave what you find. Again, applicable. When visiting someone's home, make sure your child doesn't "accidently" leave with something that doesn't belong to him or her. Let's face it, it can happen. 5. Let's hope that one isn't applicable! But just for the record, keep an eye on your children at all times. Unsupervised children tend to find trouble just as unsupervised campfires tend to make trouble! 6. Respect wildlife. Children love animals but not all animals love children. For the safety of both, teach your children to approach unfamiliar animals with caution. That applies to cats and dogs too! 7. Be considerate of other visitors. How basic is that?! No biting, hitting, pushing, kicking, or any variation. Be nice. When these simple rules are applied, you can confidently take your children practically anywhere without worrying about their behavior. 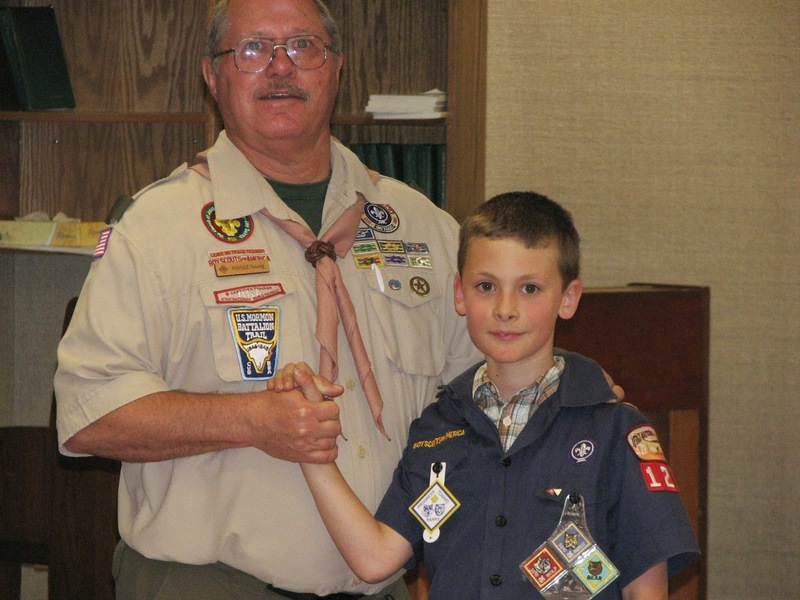 Teach your kids to be good scouts! Be prepared!